Reading Ian McEwan’s piece in the New York Times on the passing of his friend Christopher Hitchens, I am transported to a night many years ago when my friend Jonathan Tasini invited me to join him for dinner with Harper’s editor Lewis Lapham and friends one evening in New York. 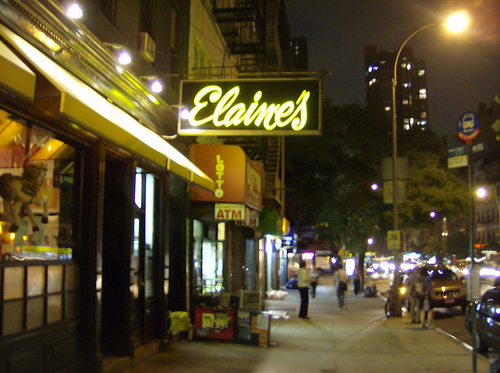 And so we gathered at the famous restaurant, Elaine’s, at a nice round table in the middle of the room: Lewis Lapham, his good friend Christopher Hitchens, “Hitch’s” girlfriend (and subsequent wife) Carol Blue, someone rather pompous from the New York Observer, Jonathan, and me, with Elaine hovering around to check on “Louie.” Clearly she was as delighted to have him and his friends there as we were all delighted to be there. There was much drink, great food, and amazing and rowdy and boisterous conversation. I didn’t know how they could all drink so much and still be so brilliant. The night ended hazily, gray, with us all reluctantly leaving the warm restaurant for cold streets and taxis home. But the warmth of that night will never leave me. 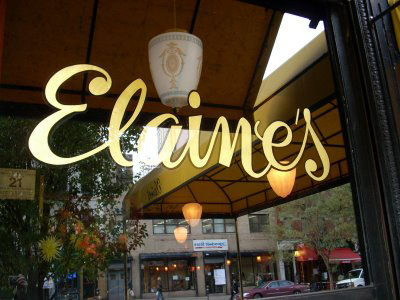 The restaurant Elaine’s closed its doors last May, and now Hitch has taken leave of us too. If there’s a heaven and he finds himself in it, I’m sure he’ll be really pissed. Brilliant man, Mr. Hitchens, I miss you already. I am coming to see that Marshall McLuhan’s mantra, “the medium is the message,” is true today in a whole new way. In his day, the mass medium showed the world as a global village that one could only watch. Big broadcasting nailed home the message that people are passive bystanders and that the only action that could change that was mass action that might or not be picked up by mass media. The first generation of the Internet did little to change that. There was more opportunity and ways for individual one-to-one communication (email) or one-to-many communication (corporate web sites) but only e-mail listserves allowed for many-to-many communication, but only for the group subscribed. Beginning in about 2005, Web 2.0 — with social media software as well as software for blogging and creative production (music, art, magazines) — exponentially increased space for many-to-many communication. It also brought new conceptions of production and action. Anyone could be a producer; no intermediary stood in the way (unless your web site gets hacked or blocked). The new norm is that anyone can initiate action. That translates into a different conception of citizenship, civic agency that doesn’t have to wait on authority, whether the authority of a group’s elected officials or the authority of a vetter. This morning’s NYT’s piece on the new “literary cubs” perfectly illustrates this phenomenon. Rebuffed or turned off by the literary establishment, they started their own venue, offline and online, creating a space for their own work and a new audience for it. The Occupy Movement has worked along the same lines with activists acting on their own authority to take over a park or block a government building. The key thing here is they act on their own authority, much as the real meaning of citizenship conveys: a citizen is someone who can call a meeting. If you have to ask for permission, you’re not a citizen. Many in my generation just don’t get this. They still have libidinal relationships with their leaders (see Vamik Volkan’s Bloodlines), whether love or hate, and seem to think that any independent action is a political rebuke. In a way, it is. But it’s not a rebuke of the legitimacy of leaders; it’s a rebuke of the idea that members, citizens, people should wait for permission to act. Many in my generation criticized the Occupy Movement for not having a plan, a list of demands, more central lines of authority, as if the power of the movement is the power to push back. They miss the power of collective action to create a space of appearance, a “who” that is we imbued with the message that we can act.